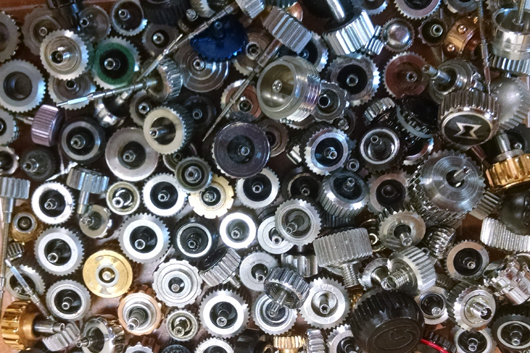 Dust and moisture are two chief enemies of a watch movement; each one has the ability to disrupt the narrow tolerances of a movement’s vital components. Keeping a watch’s engine clean and dry is therefore of fundamental importance in watchmaking and continues to be an essential aspect of quality case construction to this day. 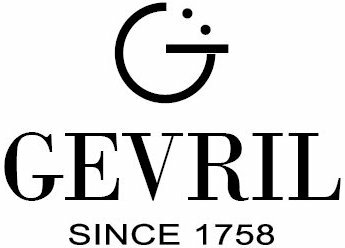 In 1994 Gevril launched its first watch collections of the modern era and, in doing so, the company wanted to contribute something new to the legacy of movement safeguards. 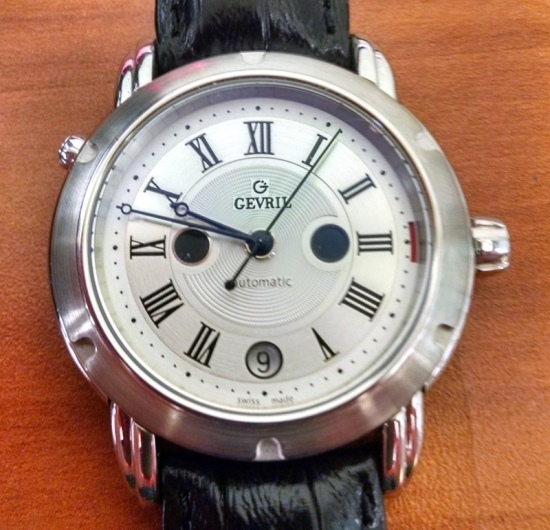 Gevril watchmakers focused on the area of the watch that is typically the most vulnerable — the hole in the case for the winding stem below the crown, a relatively large opening that is used regularly to adjust the time and date, or to wind the watch. 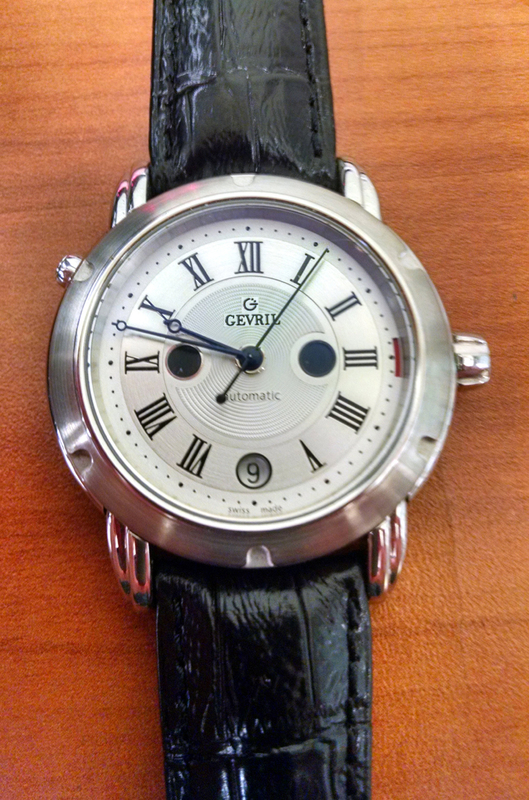 Like any proficient manufacturer, damage prevention was a primary motivator for Gevril, as was designing a system that would be an asset to the owners of Gevril watches. 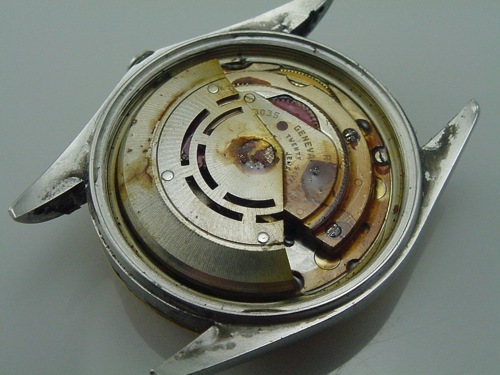 Although an effective and well-established preventative mechanism to close the stem opening was already invented and widely used — the screw-down crown — there was nothing in place to let watch owners know if the crown was closed properly, and a simple user error would leave the watch exposed to harmful elements. 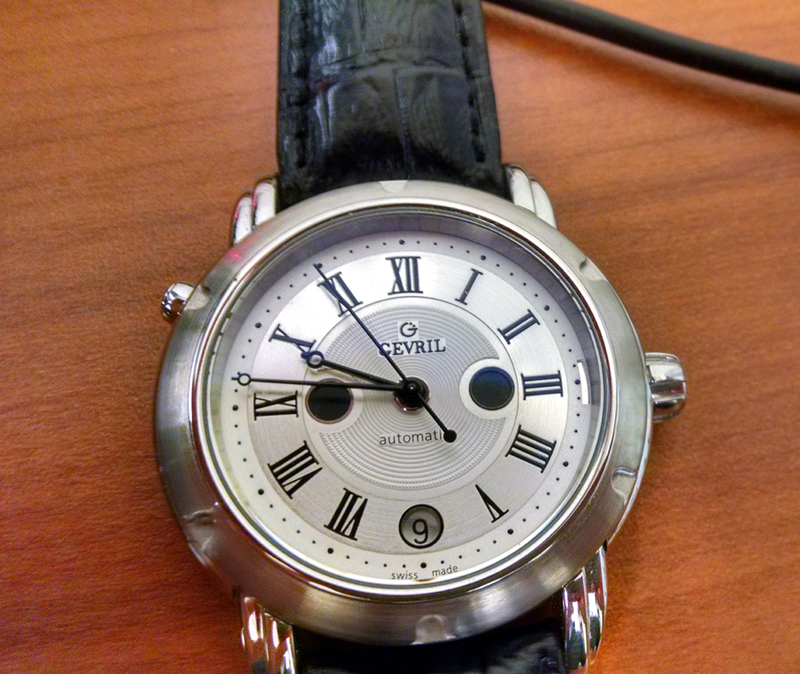 Gevril built upon the existing expertise and came up with the Unlocked Crown Indicator or UCI — a world novelty in watchmaking. 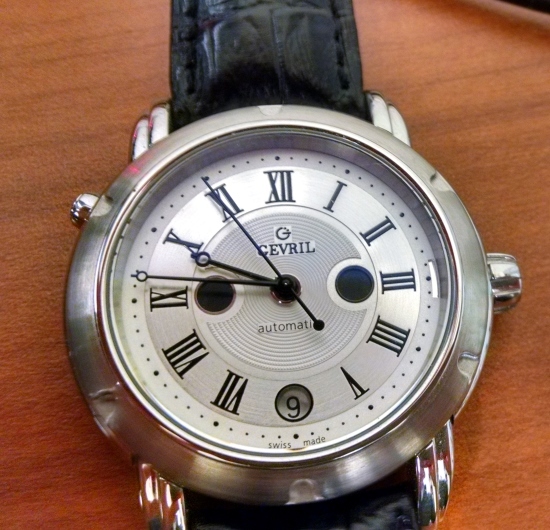 The UCI afforded owners of Gevril watches with a visual clue on the dial to avoid a screw-down crown miscue. It worked like this: a disk underneath the dial, visible through an aperture at 3 o’clock, moved with the crown as it was screwed open or closed. When the crown was open a red “warning bar” appeared. A full red bar indicated the crown was completely open; the bar slowly vanished as the crown screwed to a closed position. 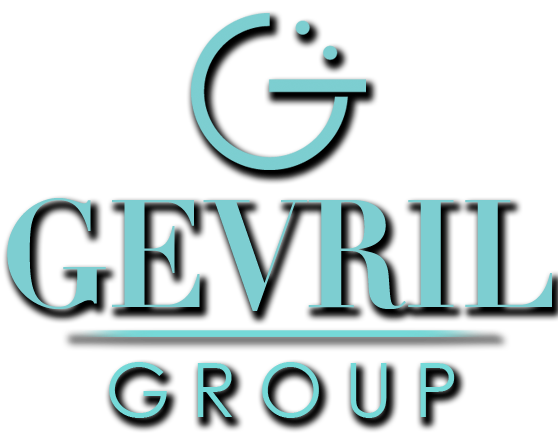 The UCI was Gevril’s first patent of the modern era and an example of the skillful and inventive attitude it would carry into the 21st century. Improvements in durability and performance are ongoing in the watch industry, where innovation is the name of the game. 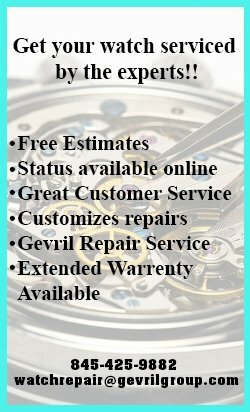 Modern watches utilize various mechanisms to deter damage and general wear-and-tear, a legacy of advancement that began ages ago and included Borgel’s threaded screwback system, Perregaux and Peret’s screw-down stem system and Wildorf’s Oyster. Developments such as these are a part of horology’s grand history — the UCI is one of Gevril’s additions to this great narrative.